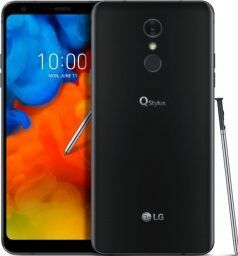 alaTest has collected and analyzed 17 reviews of LG Q Stylus. The average rating for this product is 4.0/5, compared to an average rating of 4.3/5 for other Cell phones for all reviews. Reviewers are impressed by the durability and price. The portability and performance are also appreciated. There are some mixed comments about the reliability. There are some negative reviews about the camera and battery. We analyzed user and expert ratings, product age and more factors. Compared to other Cell phones the LG Q Stylus is awarded an overall alaScore™ of 91/100 = Excellent quality. We don't have pricing yet, but it will probably be cheaper. When all you want is to make voice calls, this phone can provide HD Voice between compatible phones and Wi-Fi calling when cellular signal is spotty. It also claims 10 days worth of battery life in standby mode. An affordable stylus phone. Protected against shocks, water and dust. This is how LG has presented its Q Stylus, which comes with a stylus integrated into its 6.2-inch case. Find out what else the affordable smartphone has to offer in our review.